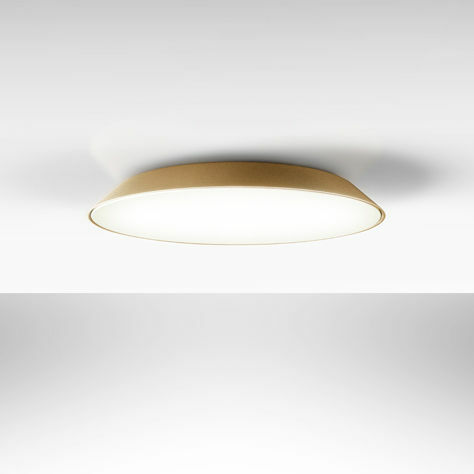 A minimalist design that houses cutting edge technology for high performance lighting. The Febe wall light/ceiling light includes a large flat disk circled with a colourful polycarbonate frame. The shade-disk is in opaline methacrylate that exploits the LED source on its entire surface, providing maximum light and minimal thickness. The lighting is functional and not blinding. This light can illuminate a whole room. Discreet and simple, this wall lamp blends into the background, to concentrate on what matters the most: the light it casts. 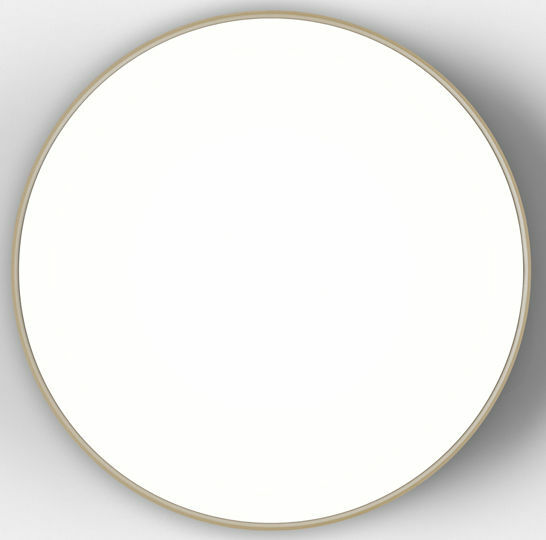 This large circle of pure light protrudes slightly from the surface of the wall or ceiling. The colourful frame is visible only from the side. A basic shape that fits in with all interiors. Available in other colours: please ask us.